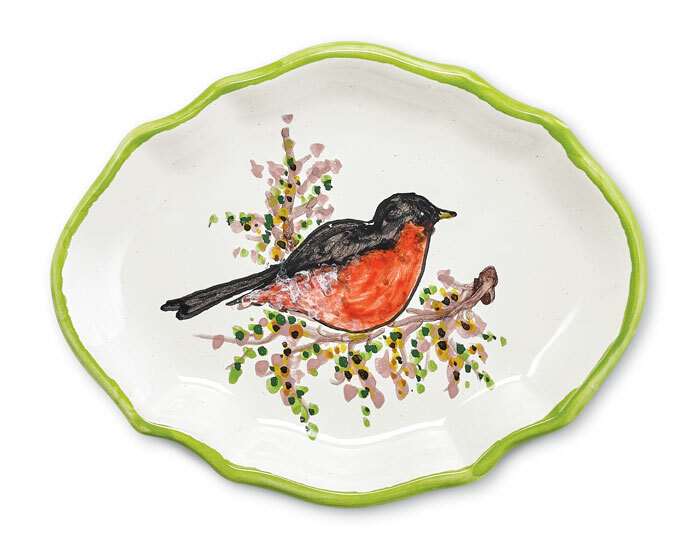 Hand-painted by Italian artisans, our ceramic trinket tray with scalloped edge is lovely to look at and a useful catchall for keys, change and jewelry. It arrives in a box with a clear lid. Formerly $35, now 40% off. Discount may not be applied to prior purchases.